Well, as you can already guess, I’m a fan of travel blogs – seeing that I have one. But when I first started blogging, that was definitely not the case. I thought blogging as just hopping online and sharing your thoughts and adventures – but there’s so much more to it than that. Pros – I’m very happy that I am continuing on my blogging journey. One of the best things about blogging is the community that you get to know. I’ve joined several blogging Facebook groups, and even started one of my own. I’ve met the most incredible people, and I’ve learned so much through them. I honestly would have no idea what I was doing [well – more so] without their encouragement and support. I also love being able to share my thoughts on travel-related topics, and sharing my adventures. I love engaging with others who enjoy travelling as well, and Life with Larissa allows me to do just that! Cons – Like I said earlier, if you think blogging is as simple as 1, 2, 3 – then you shall be sadly mistaken. It takes a lot of time, effort, and sometimes even money, depending on your goal. There’s so much learning to do when it comes to various hosting sites, self-hosting, monetizing, social media, and so much more. It can quickly get very overwhelming. Trying to be consistent in posting is also a challenge for me. Sometimes I feel like I don’t have enough to write a complete post, but I also don’t want to mess up my blogging schedule. Overall – For travel blogs, the pros definitely outweigh the cons for me [hence Life with Larissa is still up and running…yay :)]. There are times though when I need a break from the blog, in which case I will take a week or two to recollect. In case you don’t know what a vlog is [like me sometime ago], it is a “video blog”. 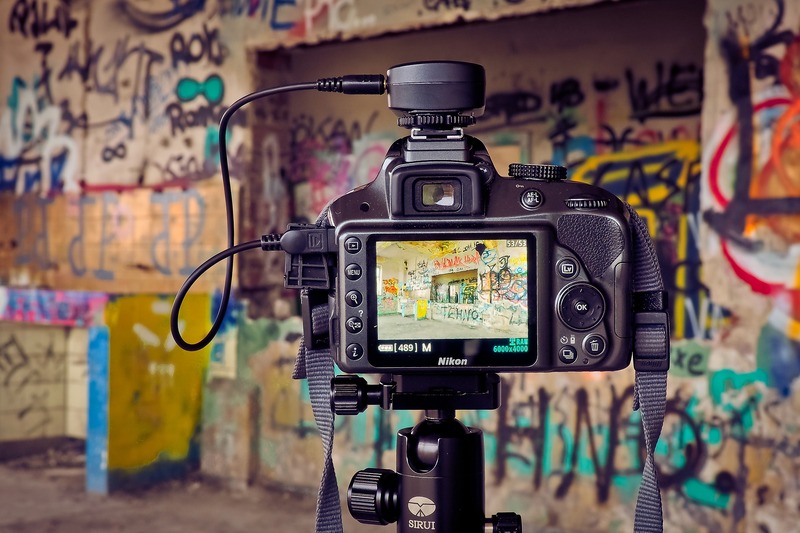 So think of those travel videos you see on YouTube before you head on a trip or vacation. Those are most likely vlogs. I actually started my own YouTube channel so I could make vlogs. I started off really strong, but then I kind of fell off the wagon. I’m not quite sure yet if I want to take that back up or not. I’d love to hear your suggestions on what you think I should do! Pros – Vlogging definitely has a lot of pros. It’s a different way to showcase your travels. Individuals watching your videos will be able to see what you’re talking about, and may even feel like they’re on the trip with you. It’s a great way to look back on your previous trips and see what all you did. I love going back and seeing how much fun my family and I had on our Carnival cruise a few years back! I love pulling up my Europe videos and reminiscing on the good times with some good friends! Cons – As with everything, there comes some challenges with vlogging. If you’re like me, you’d prefer to be behind the camera than in front of it. However, when you commit to the vlogger lifestyle, there will be times [more often than not] where you’ll have to make an appearance in front of the camera. I always feel so awkward in front of the camera in general, but also especially if I’m solo and I’m just talking to a camera in public. Another con is that pulling all your material together can be quite time consuming. You have to figure out which videos and pictures you want to include; which music to include; and also make sure the compilation isn’t too long. Overall – I’m still stuck on this one. I really do enjoy looking back on my videos throughout the year, and I quite enjoy when people comment letting me know it helped them make a travel decision. I think once I get over my self-consciousness and camera shyness, I’ll be more on board with travel vlogging more consistently! Well, as you can see both blogs and vlogs offer their own unique characteristics. Obviously, one is not necessarily better than the other – it’s just a matter of preference. 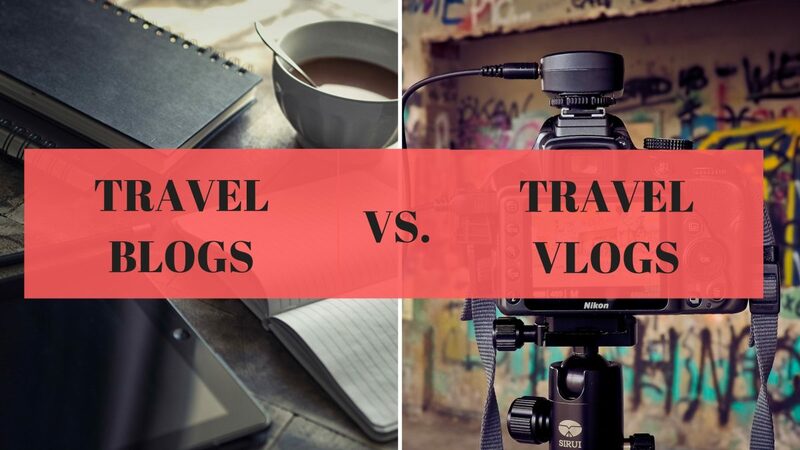 Which one do you prefer, travel blogs or travel vlogs, or both? Don’t let me limit you 🙂 And why is that your preference? Let me know in the comments! I’d love to hear your thoughts! Like you, I’m more comfortable being behind the camera when it comes to videos. So all my travel posts are on my blog. But maybe 2018 will be the year that I do an actual travel vlog. You’ll have to share it with me when you do! Best of luck! Maybe I’ll start mine up again this year as well. I’m more of blog person but I think you should take into consideration on whether you get more views on your videos or your blog posts to know where more of your audience is! But ultimately do whichever makes you happiest! That is a very good point to take into account! Thanks for sharing that. I’ll have to go back and take a look at the stats. I’m in the process of adding vlogs to my business. I have 2 blogs, but I really like speaking vs writing so we’ll see how this goes! Makes sense! I think I’m a similar way! I have been more intentional with creating videos for my blog. I am typically solo and haven’t purchased my tripod yet. I recognize that not everyone will want to -read- and video is up and coming. I’d love to look back at all the videos I’ve made one day. Looking back on my videos really makes happy! It’s just in the moment of creating is so painfully awkward and uncomfortable for me. Hahaha…this year is hopefully working on getting over that! I really enjoy Vlogs. It’s definitely a challenge getting over the camera nerves and shyness but it will come with time. I usually struggle with putting my face in my Insta Story videos and I’ve done a few Youtube videos but it is tough to overcome the nerves. Yes! You’re definitely right. The more you put yourself out there, the easier it will become over time! When it comes to travel, I’d prefer a vlog. I think video captures the subject better than just pictures and text! This is a fabulous list of pros and cons for both. I have a travel blog and I prefer reading rather than watching videos. I also enjoy seeing pictures. I do love seeing videos from time to time but I prefer something quick and easy rather than a 15 minute long video about a particular area. Just me though, thank you for sharing this! Ps your travel blog is amazing! Thank you so much for your kind words Ariel! I’ll definitely have to keep your points in mind as I continue on my blogging and potentially vlogging journey. This was a very interesting reading as when I started my blog I’ve also considered adding some vlogs to it. I really enjoy watching other people’s vlogs and when I’m travelling sometimes I film things (just with my phone) and I feel like videos can give a better idea of how a place was. The thing is, I don’t think I am that good at filming and I have no idea how to edit videos. I am also camera shy, for example I enjoy to share a lot of videos on my Insta stories but I never actually talk or show my face in them. I still think about vlogging in addition to blogging from time to time, but if I’ll actually do it, I’ll have to take some small steps. I think Instagram stories will be a good place for me where to start and practice a little bit. Then, I’ll also have to learn some editing basics. Finally, I’ll have to get some new equipment, not necessarily expensive, but better than a phone. Love this post!! I love being behind the camera and the computer, but these days everything is going live and video, frustrating as it may be, sometimes we have go with the times and get comfortable in front of the camera. LOL any tips on how to get comfortable filming? Your doing a great job love your channel and your blog!! Oh my gosh Leah! Thank you so much for your kind words. Haha…I’m definitely still in the process of getting comfortable in front of the camera. I’ve heard pretending like you’re talking to a friend helps a lot! I go back and forth with which one I like better. If the blog is well written then I am a fan of blogs. However, if the vlog is done well than I am a fan. I feel like I’ve seen far to many vlogs that lack in edit and creating beautiful content to do with their vlog that I am pulled away from them. I completely get what you mean. I feel like my vlogs fall under the ‘lack in edit and beautiful content’ category. But I’m so up for learning on how to make them better! It’s definitely not as easy as I thought it would be. I’ve been blogging for almost three years now, and I haven’t ever attempted a vlog! The part that intimidates me the most is editing and putting it all together. That sounds nearly impossible to me! I might just have to try it, though! I prefer to be behind the camera too. I’ve thought about getting into BookTube for some of my book reviews but it’s very intimidating! 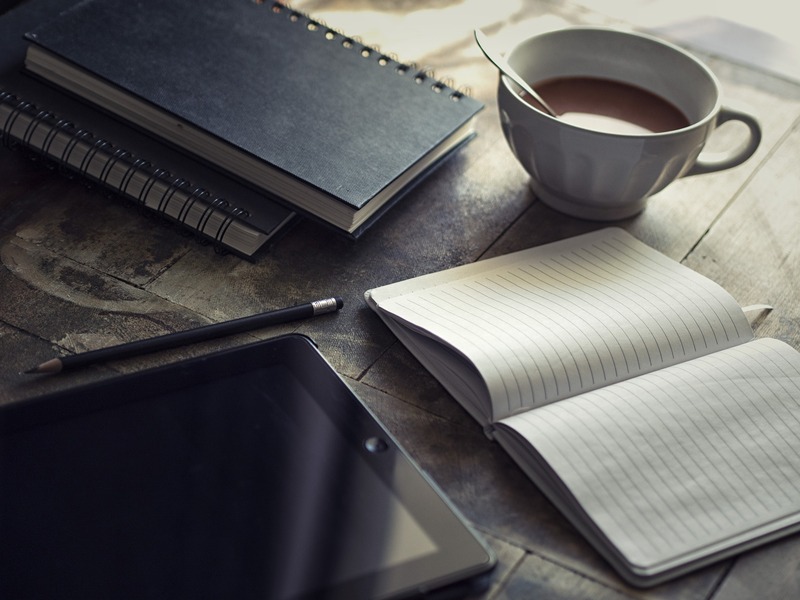 Blogging really isn’t as easy as 1,2,3 and that is a pretty RUDE awakening when it happens! I LOVE watching vlogs but I’m not so good at making them! It’s one of my goals this year as a blogger! To make some more videos! Hahaha right? When I found out how much work went into blogging, I almost quit! And best of luck making videos this year! I love a good mix of both the blog and the vlog! I guess I just love them both lol! Both have really good qualities! Thank you! And yes, that is a very good point. I need to practice working on those captions. Because I’m more likely to watch a video if they have them! I vote for whatever you feel most passionate about! I love both TBH. I would prefer vlogging on writing because capturing your first thought on how you feel and giving people a real life experience through video is much easier. Next Next post: Feature Friday: Meet Nicola L.